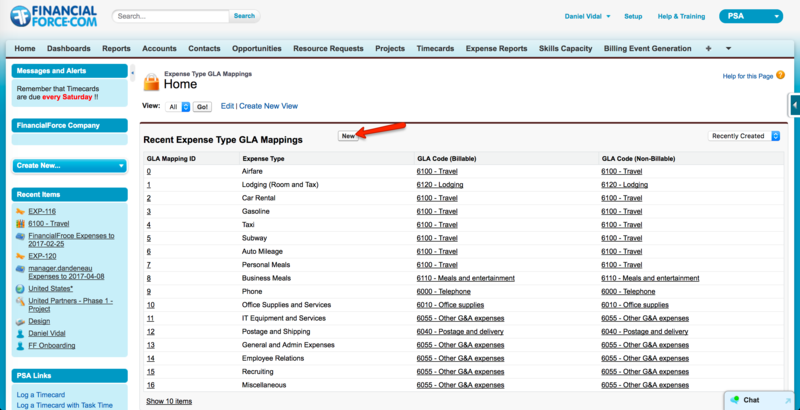 Create both a User and a Contact for yourself if these don't already exist in FinancialForce making sure the email matches your primary email in Expensify. 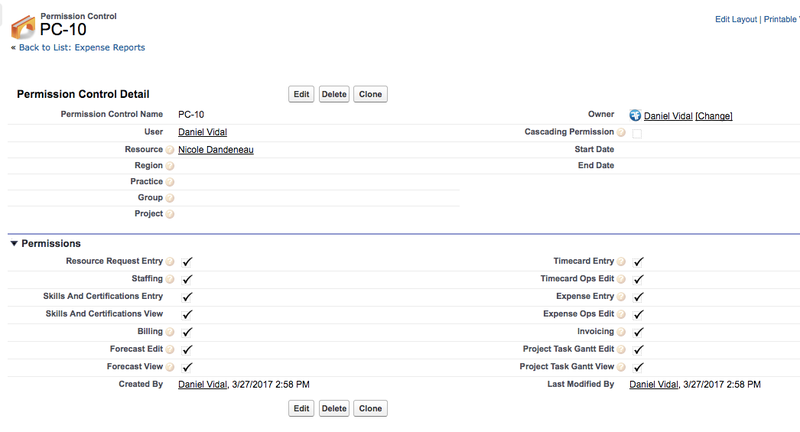 Each report approver needs both a User and a Contact. The user does not need to have a SalesForce license. These can be free chatter users. Create a new permission control and set yourself (exporter) as the user and then select the resource (report submitter). Grant all available permissions. Please Note: We only import categories if you are using SRP. If you are only using PSA, the integration doesn't use categories at all so you can skip this step). 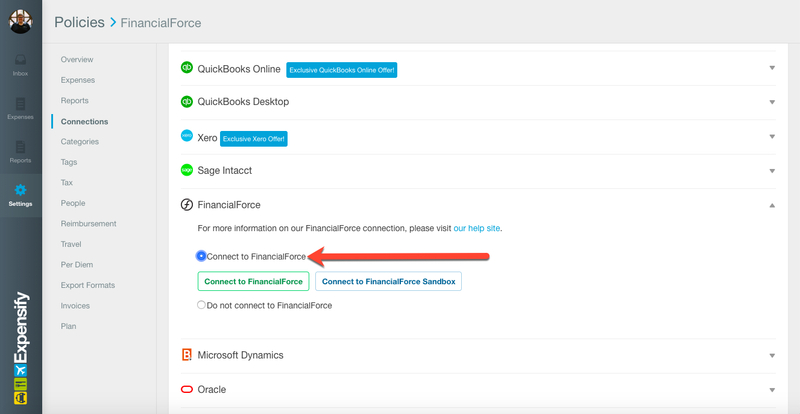 Click Create a New FinancialForce Connection and you'll be redirected to login to your FinancialForce account. Once you login, you'll be redirected back to Expensify and the sync will start.